Just slice a banana, melt it in the butter, sugar it, pour the rum and light it. Bananas foster recipe, a gourmet flavor in power in vape too! A captivating bananas foster e liquid ! A simple dessert for which you just slice a banana in the direction of the length, melt the butter, leave to brown on each side, sweeten it then pour the rum and light it to serve it hot ... and enjoy it! A very realistic diy flavor without being too sweet, with a hint of caramel and cinnamon, and a tip of rum on exhale. An amazing dessert vape to try ! 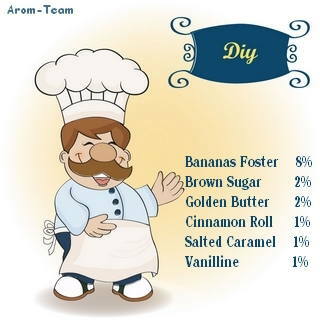 How to dose this bananas aroma ? 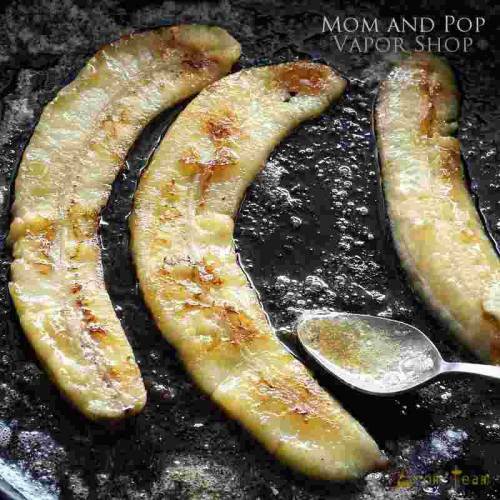 What steeping time for a banana foster vape juice ? A minimum maturation time of a week is needed. Mom and Pop flavors are food grade. So you can use them in pastry, etc.